I know, I know, I managed to let another whole year [and a bit] slip past without so much as a peep on the blog. 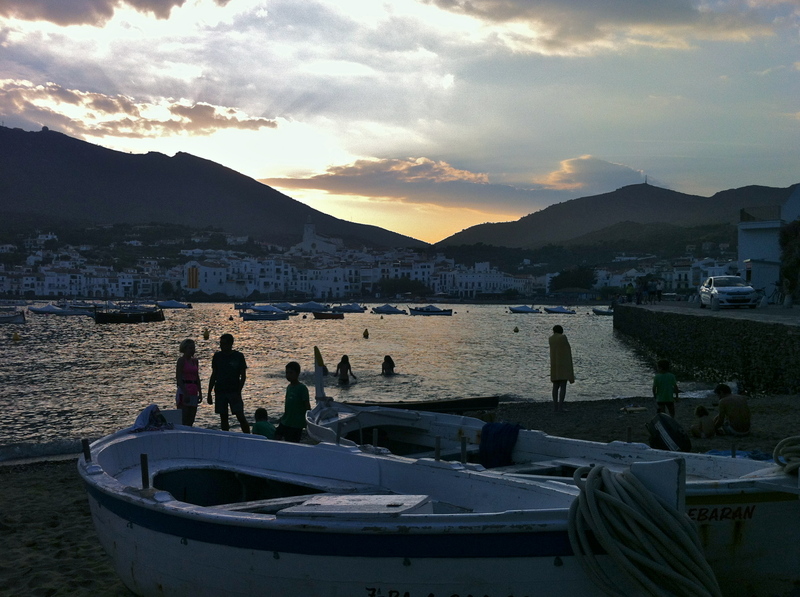 As many are already aware, I spent the last three years focusing on finishing my BSc in ecology and settling into working life – as an actual ecologist, would you believe – and, just maybe, being a bit lazy… However, 2017 has arrived and that affliction that all who are swimmers have, that visceral desire to be in the water is too much to bear: I need to swim! 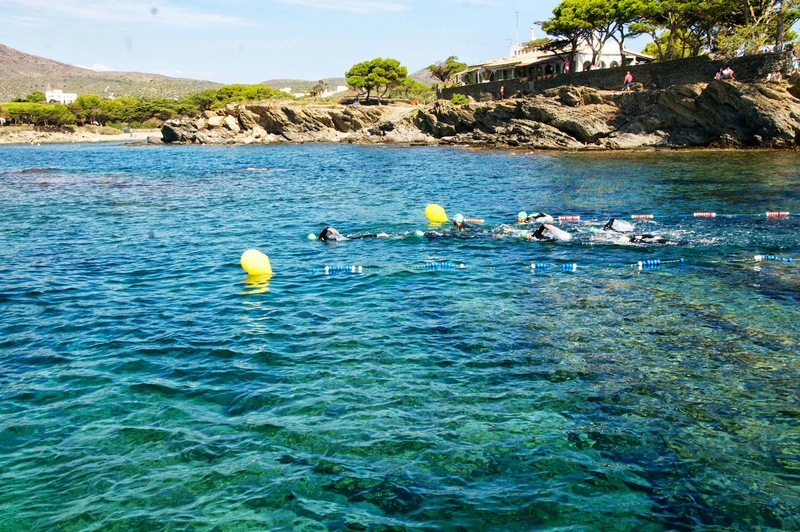 Aware of the potential difficulties in arranging a completely new swim, I decided that it was best to book an established swim, one for which “all” I would have to do would be to fill in the forms, pay the fees and train. One swim in particular jumped straight out at me: Leme to Pontal, a coastal swim of 35 km. This swim is the same distance as the English Channel, starting at Praia do Leme in Leme, Copacabana and passing all of the oceanic beaches and sites of the city of Rio de Janeiro before finishing at Praia do Pontal in Recreio dos Bandeirantes, Barra da Tijuca (see the interactive map below). 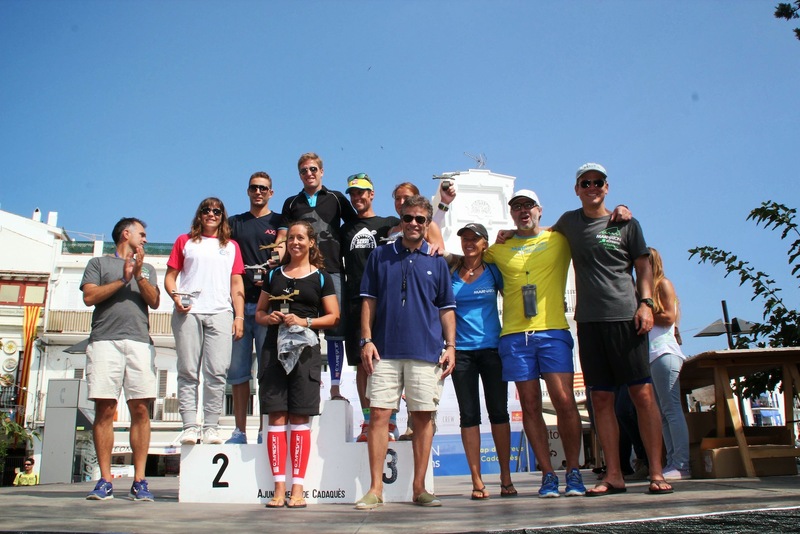 Last Saturday, 7 September was the date of this year’s “The Edge Sports” Sandycove Island Challenge, the second biggest event on the Munster open water swimming calendar. 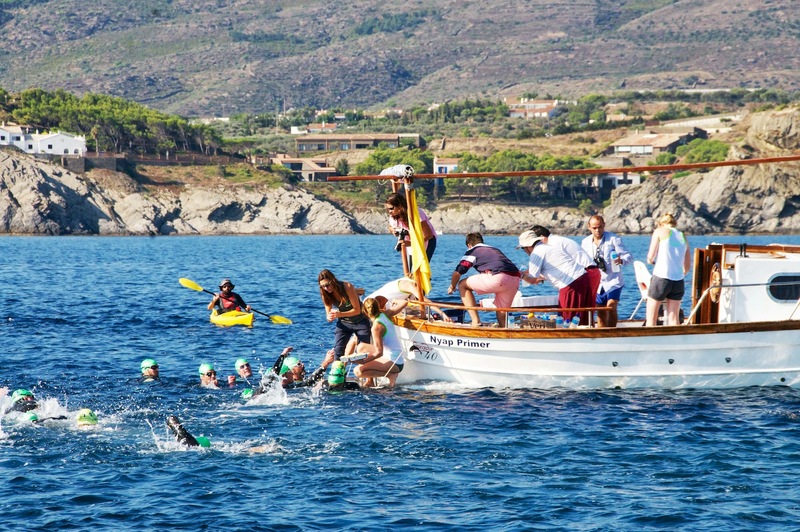 The swim has been running for, I think, 18 years and I’ve been taking part each year since 2006 – I admit missing the 2009 event as I was swimming across the English Channel at the time! It’s a fantastic event run by Cork Masters SC and is a great reason to make yourself visit the home of marathon swimming in Munster, Sandycove Island. 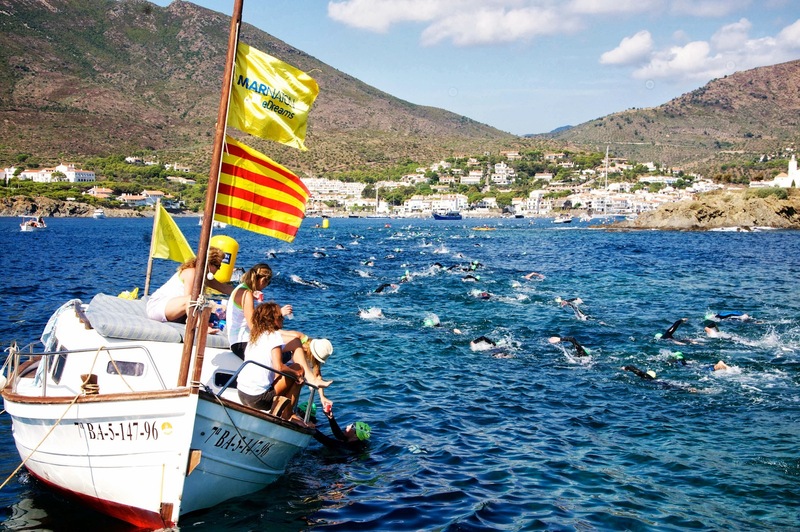 Entries were slightly down on last year for a number of reasons, with a total of just under 200 people completing the swim on the day. Dave Mulcahy, Dave Dowling, Ellen Brooks and myself all swam for Fermoy SC. Conditions were near-perfect: it was very overcast and occasionally wet but the water was glassy calm with very good visibility under water. The still flooding tide meant that swimmers would also get some assistance from the current on the one-mile circuit of the island. After registration in Kinsale around lunchtime, we headed to Sandycove to mill around and wait for the race briefing. Ned gave the usual briefing at the slipway and all of the swimmers assembled into their start groups (of 30 swimmers each). I was seeded #2 so was in the first group. When we were lined up, it became clear to me that #4 or #5 would have been a more accurate seeding for me: in front of me was Dan Sweeney, a former Sunday’s Well SC and Plymouth Leander swimmer now swimming with the elite team at Loughborough, and behind me was Ethan O’Brien of Limerick SC who is making a name for himself as an elite triathlete. I was not competing with these guys, they are way out my league – I was much more focused on Carol Cashell, Ned Denison and maybe one or two others who are my usual competitors! 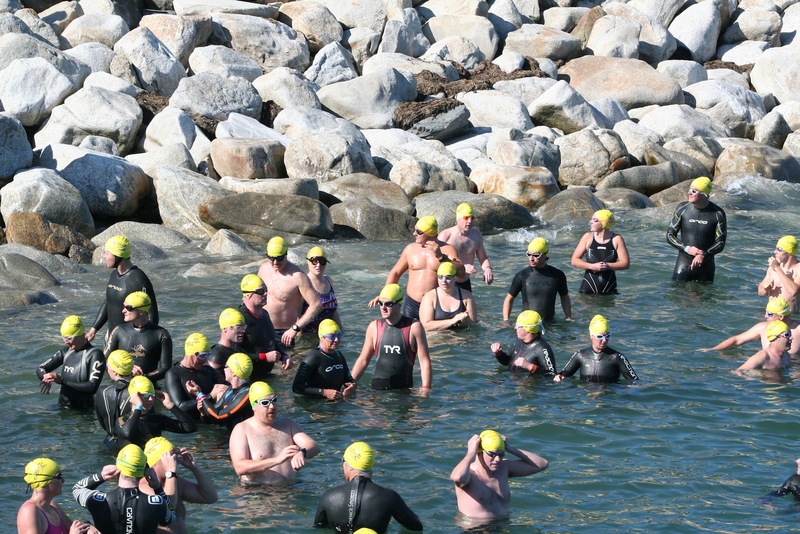 The start was very clean and non-violent: the 30 swimmers in the first group assembled on the slipway. Carol and I were stood next to each other in the middle while Ned was off to the right, picturing himself beating the real fast guys! The whistle went and we were off before we knew it. I got a nice clean dive and came back to the surface unobstructed by flailing arms. Carol and I were stroke-for-stroke and, as we approached the first corner, we caught Ned at the end of his initial sprint phase. Carol was on my left and Ned was on my right, I was sandwiched between the two of them as we headed for the rocks. I figured that the best thing to do would be to pull back and go around the outside of Ned – this would give me more water to swim in and also psychologically destroy Ned to see me pass him on the outside. 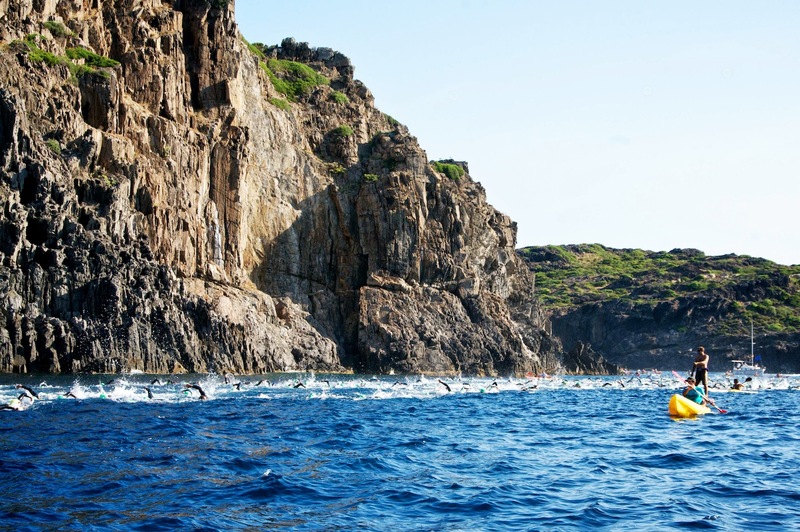 I went incredibly close to the rock on the second/far corner, relying on the gentle swell to carry me over the shallowest parts – I lost no blood this time! The race after this was quite boring. The two lads were off in front, Carol was about 15 m behind and there was nobody on either side of me. The water was calm and there was no battle to be had. I have become used to ferocious battles at this event over the last few years! At the third corner, I picked my line to the marker buoys near the finish and went for it, readjusting my heading every few stroke cycles. As I reached the first of the large yellow buoys marking the approach to the finish, I saw Ethan and Dan getting onto the slipway. I tried to sprint in but the extra gear just wasn’t there; it didn’t matter though, I held my position and finished third person home in a time of 21:44.0 – a new PB, I’m pretty sure. As Carol finished about 20 s after me, she informed everyone that the water temperature was 14.6ºC. Cooler than previous years, despite being about a fortnight earlier, but it made no difference as I didn’t think about the temperature for a second from start to finish. I enjoyed watching all of the others come in, especially the Fermoy SC swimmers. 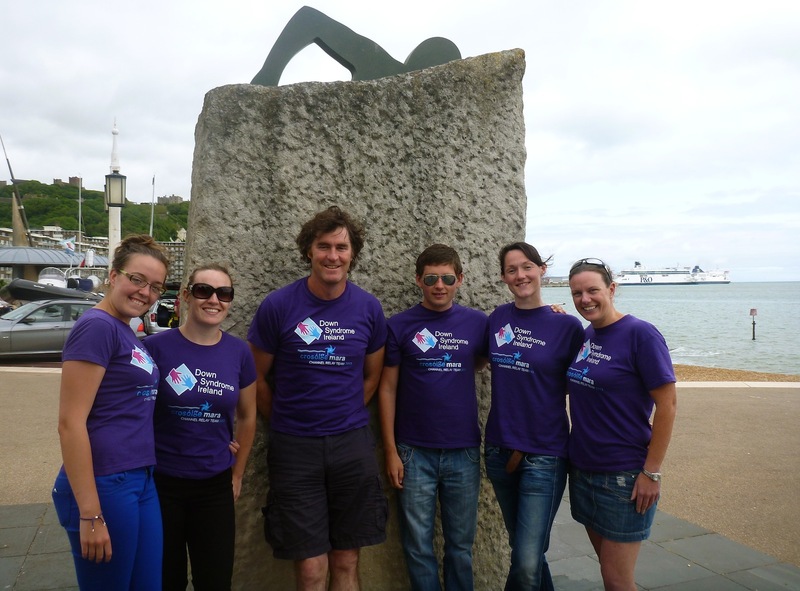 Dave (Mulcahy) did a very impressive swim: he got a new PB of 29:06 – his first sub-30-minute lap of the island! 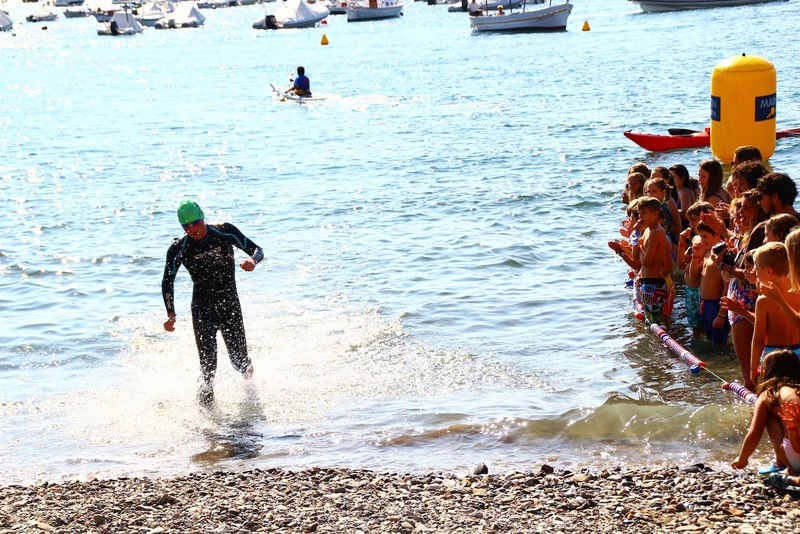 I spotted one swimmer just after the finish though and thought: “he looks fast, and familiar too…” It turns out that the swimmer, seeded #221, was Aaron O’Brien of Limerick SC who is today competing for Ireland in the Junior World Championships in triathlon! I’m back in the pool now (sort of) but have a few more open water events left before returning to the real world of college and training. 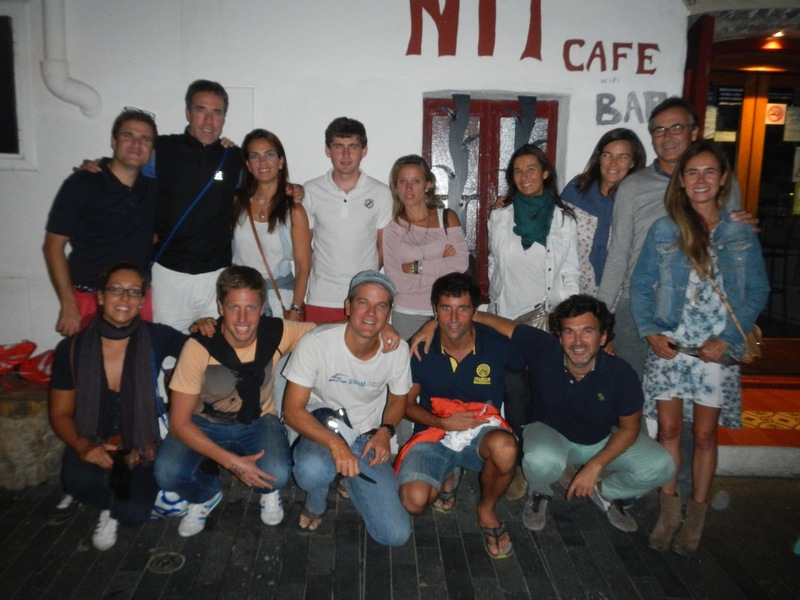 Tomorrow, I’m off to Catalonia to bask in the sun and reflected glory of swimming with FINA Grand Prix Champion 2013 and therefore World #1, Damián Blaum (ARG) and his wife, Esther Núñez Morera, who also just happens to be World #2! 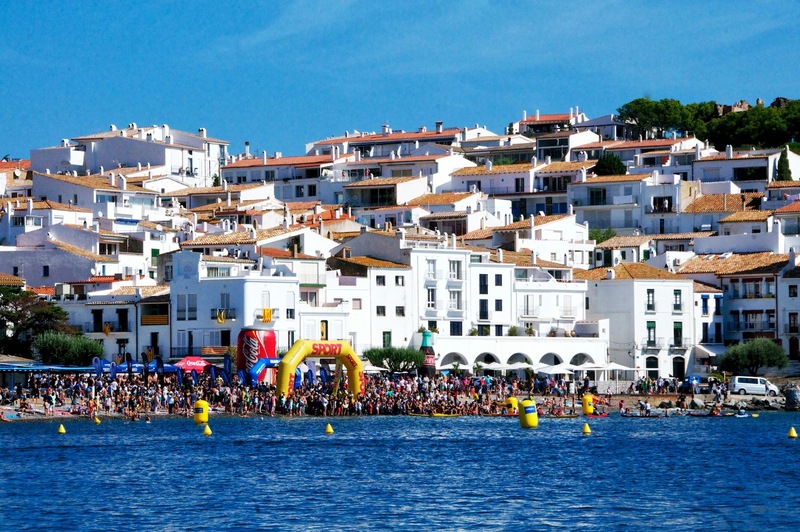 The event in which I’ll be swimming is the 6.5 km race from Cap de Creus to the village of Cadaqués in the picturesque North of the country. 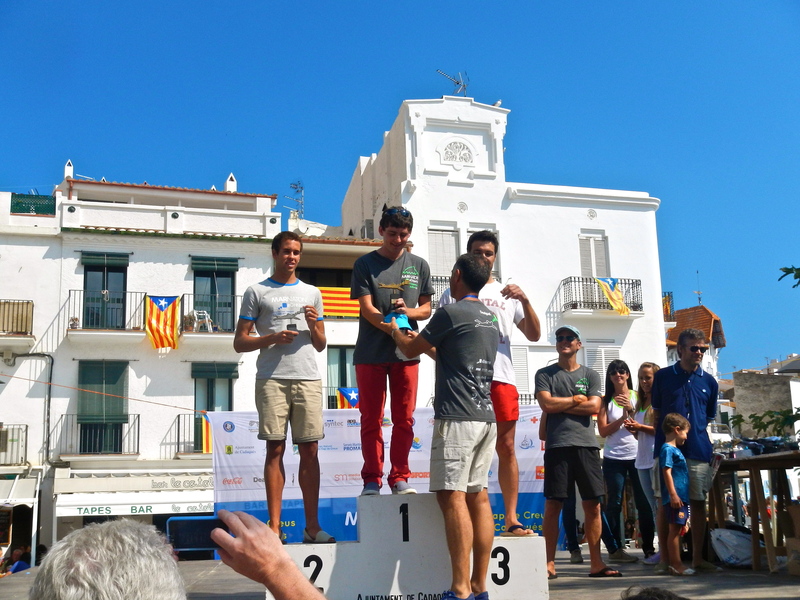 It is part of the Copa Marnaton “eDreams” and I’ll be there thanks to my friends Mauricio Prieto and Susan Moody who swam the Strait of Gibraltar this summer and keep a great open water blog, OWSwimming.com. I can’t wait for the race! Wearing and operating the device: As you can see from the photograph above, the device itself is quite small (4 cm × 5 cm × 1.5 cm) and is held in place (on the back of the head) by the goggle straps. It can be a bit fiddly getting it secured to the goggle straps but a handy video explaining how to do this is provided (see below). Once in place, the device is very comfortably worn, hardly noticeable in fact, and is very simple to operate. There are only two buttons, i.e. a [POWER] button and a [PAUSE/RECORD] button. The former is held down for 3 s to turn the device on or off and the latter is held down for 2 s to start or pause data recording. You can pause and restart data recording to keep it in the same workout or power off and back on to start a new workout. Note: There are lights on the device to indicate whether power is on or off, whether or not a GPS signal is being received and whether data recording is running or paused. You should wait for a GPS signal to be received before starting your workout (this can take a few minutes – as with all GPS devices, I suppose). Data analysis: I originally assumed that the device produced a data trail on a Google Earth map, a total swim time and maybe an average speed – I was wrong, it produces much more than that! It does, of course, give the trail of GPS data points overlaid on a Google Earth image. These are very accurate and can produce surprising results, e.g. my tracks for swims at Sandycove Island and Knockananig Reservoir (below) show my tendency to swim to the right and need to make constant left-hand corrections to stay on course. 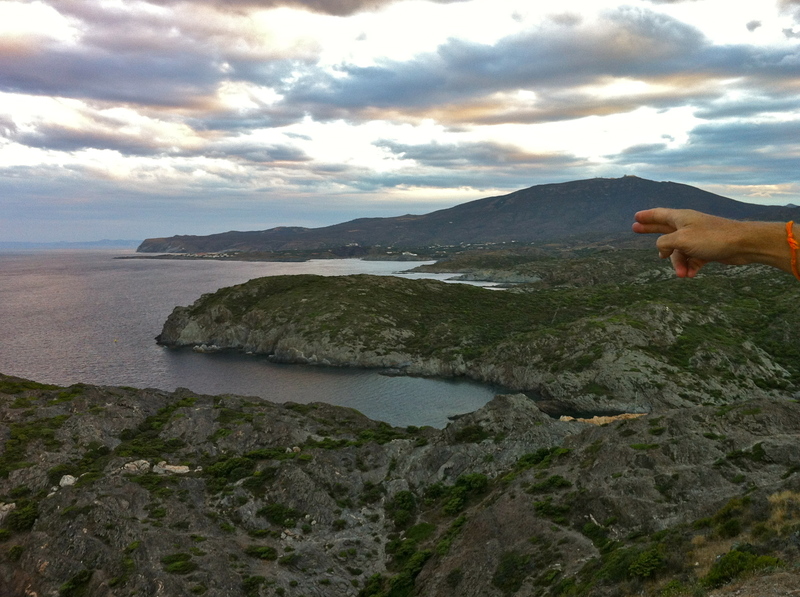 The Sandycove track also shows that I was much further off the back of the island than I had imagined during the swim. GPS data trail for a single lap of Sandycove Island (left) and a 4-lap swim in Knockananig Reservoir (right) overlaid on Google Earth images. 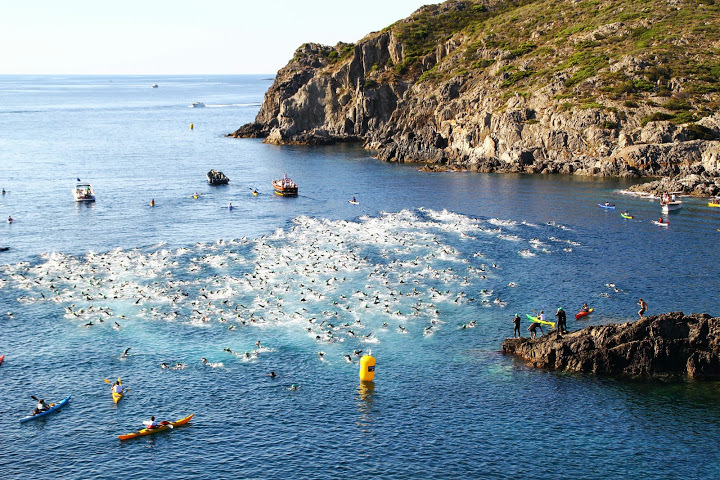 In addition to a map of the swim, the device also gives you the total swim time, average speed (km/h), average pace (s/100 m), splits for each km and 100 m , speed (km/h) and accumulated time at any [spatial rather than temporal] point during the swim. Elevation is also provided but this is obviously of little consequence for swimmers! Note: All data can be converted to imperial units for our yet-to-be-converted cousins! Some of the data output from my 4-lap swim in Knockananig Reservoir last night. Hovering the cursor over the bar for each split reveals the time (in mm:ss format) and the ten 100 m splits shown are for the selected km split (the 1 km split in this case). Each workout is saved to your own personal account on the FINIS website from where you can export your workout to a number of various file formats or other training logging websites, share it on social media, e.g. Facebook or Twitter, or delete it. 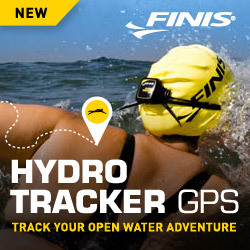 There are also a number of additional features on the FINIS training log such as total distance and average speed, etc., across multiple workouts. Note on battery life: I haven’t tested exactly how long the battery lasts (though I know that it takes about 2 hours to charge). I have, however, noted that when you are not using the device you need to check carefully to make sure that it is powered off. I attempted to use the device in the River Blackwater on Monday morning but it would not turn on. I’ve since figured out that I hadn’t made sure that it was switched off properly after last using it and by such had accidentally run down the battery. I haven’t made the same mistake since! I’ll update when I figure out just how long the battery lasts. Conclusion: I always like to record my sessions. I record them, not just for the sake of it, but so that I can analyse them and see how I can improve and get more value out of the next session. This is easily done with pool sessions but much harder for open water. I think that this device makes proper workout analysis for open water possible and will help me to train better in the open water, so it gets the “thumbs up” from me!